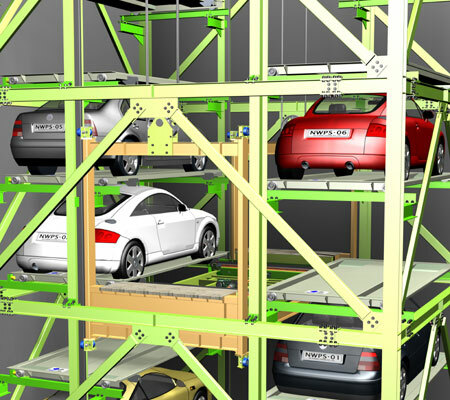 The vertical transfer system is a fully automatic carpark, utilising the platform and lifts to organize vehicles in compact, shelf styled parking bays. • Single row design, ensuring the fastest vehicle retrieval. • Tried and tested – simplified and compact design. 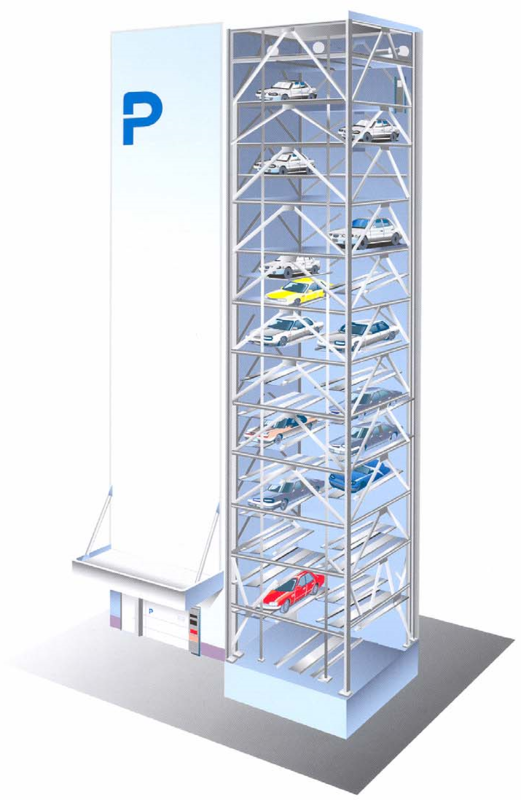 • Most suitable for a narrow area with a significant height (8-20 floors). • Installation also available as a standalone system.